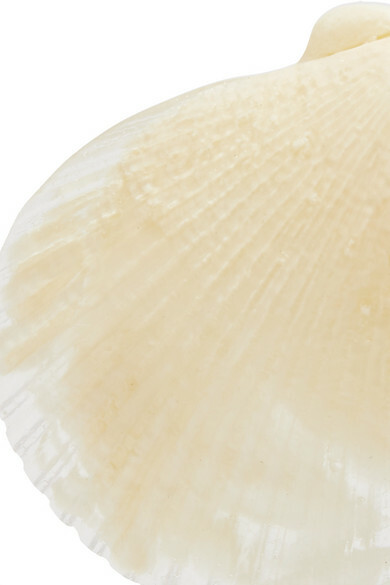 "Shell jewelry has metamorphosed from plastic vacation throwaway to sartorial statement with an infinitely more grown-up, luxe vibe," we ruled in PorterEdit recently. An arty take on the season's trend, Dinosaur Designs' earrings are cast from ivory resin and painted to look even more realistic. Wear them on vacation with a floaty dress, or back in the city to remind you of sun-drenched climates. Shown here with: Tibi Dress, Alighieri Necklace, Tohum Bracelet, WALD Berlin Necklace.